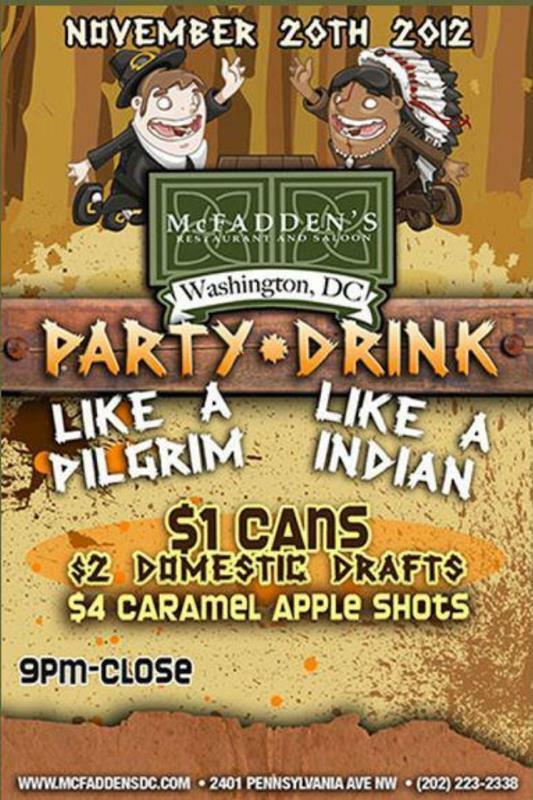 A local Washington DC bar is in a lot of trouble this week due to a recent poorly chosen marketing campaign (pictured above). They were advertising a Thanksgiving party (which in itself sounds like a pretty lame way to drum up sales around the holiday season – when people should be spending time with family), but they did so in such a callous, ignorant fashion that the area and the internet as a whole is resounding with charged responses. Please take a moment today to remember our soldiers and heroes from the past… and pray for our soldiers and heroes of the present. This morning I stumbled across a column written by Joel Stein for Time Magazine.com that made me vomit in my mouth. Apparently, Mr. Stein’s douche-bag of an editor thinks that hockey (more specifically NHL hockey) is not relevant enough to appear as part of a Time Magazine publication. This editor gave Stein one last chance to prove that hockey was worth writing about. You can see Stein’s final(?) article here. There is also a place on the page where readers can vote on the issue (“yes” to ban him from writing about hockey, “no” to keep him writing about the NHL and hockey). St. Patricks Day turned violent and deadly in Ireland on Tuesday, as drunken people rioted across the country, torched cars, and attacked emergency personel. Officers of the Police Service of Northern Ireland donned full riot gear, including flame-retardant suits, to drive about 1,000 students from Queen’s University (the major college in Belfast) back into their rented red-brick homes. The Irish Republic’s police commander, Commissioner Fachtna Murphy, said that [from last Friday through Tuesday night], police had arrested 346 suspected drunk drivers and 72 for dangerous driving, while eight people died in crashes. The Dublin Fire Brigade said its officers were pelted with stones, cans and bottles in several public housing projects overnight as they dealt with 46 fires, mostly smashed-up cars that had been set ablaze. Ambulance crews dealing with more than 200 emergency calls — including a dozen stabbings involving knives or broken bottles — said they also suffered physical and verbal abuse as they responded to booze-fueled bloodshed.